Replacing existing electrical grids by future smart grids opens a several opportunities for energy-efficient operation of buildings and cities as well as improved coordination of energy load and supply. Future energy systems will be managed by smart controllers. These smart devices will have to interoperate, they need to exchange information with each other in order to cooperate over complex control tasks. Current data and communication technology provides a suitable basis for the bidirectional flow of information between smart buildings and other smart grid stakeholders. Interoperability will only be achieved when Smart Grid appliances share common semantics on the data they exchange. 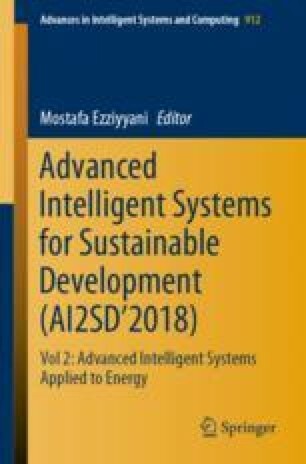 However, a common concept of shared real energy state and knowledge is essential in order to unify heterogeneous grid contexts, incorporate information of smart grid participants, and process this information in building energy management systems. In this work, a context agent based on an OWL ontology is presented that enables semantic representation of knowledge for interaction between building energy management systems and smart grids and end prosumers. A well-proven methodology is used to develop this ontology. Furthermore, the ontology application into building energy management systems and smart grid environments is figured, and the functional capabilities of this approach are shown.